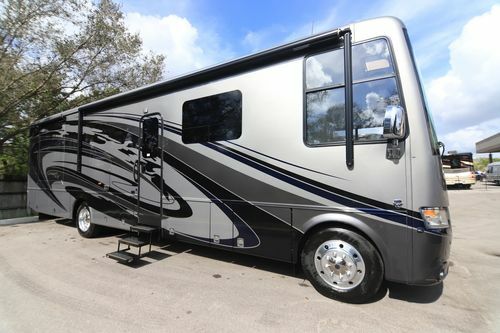 Newmar Canyon Star Class A gas motorhomes for sale. 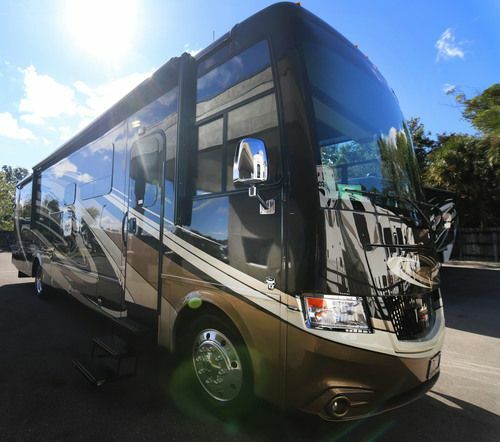 The 2018 Newmar Canyon Star motorhome, furthering its standing as the industry’s most versatile (and luxurious) gas-engine coach offers an all-new rear patio floor plan (3924) in addition to wheelchair-accessible (3911), toy hauler (3921), and storage shed (3923) floor plans. Built on a 26,000-lb. 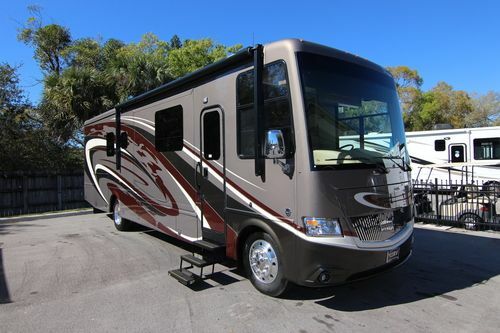 Ford® F-53 chassis, Canyon Star is topped by a power side awning and fit with side-hinged baggage doors. 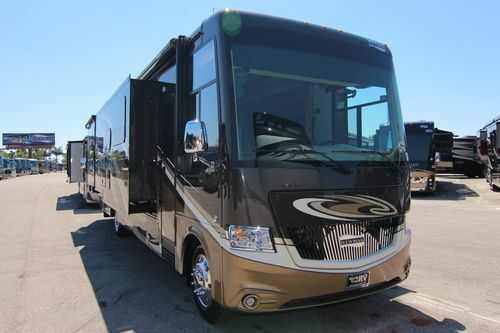 The 2018 Newmar Canyon Star Class A gas Motorhome comes in the following floor plans 3513, 3710, 3716, 3901, 3918, 3923, 3924, 3921 and the 3911. 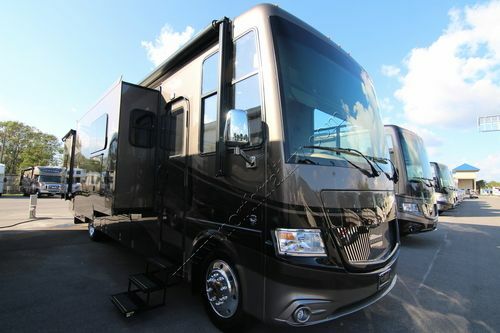 The 2018 Canyon Star offers a dinette booth that doubles as extra sleeping quarters, as well as a sofa that converts into bunk beds in seconds. Canyon Star also makes available both bath-and-a-half and two-full-bath floor plans along with an optional Whirlpool® stacked washer and dryer. 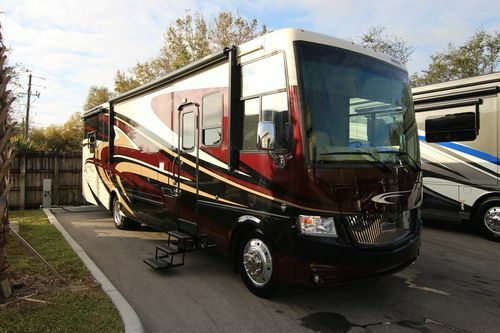 The master bedroom has a spacious lit hardwood wardrobe and a Sony® LED TV and DVD player. 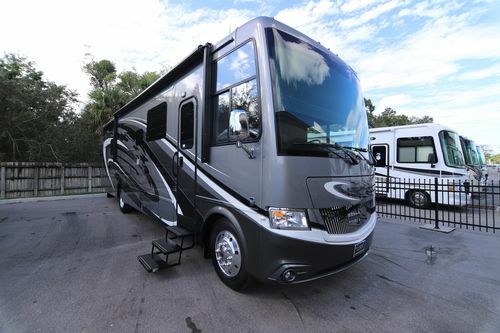 Delivering even more residential luxury, select Newmar Canyon Star floor plans are available with a king bed and a large 40”x32” shower. A Sony® LED TV and a backlit wood fascia are a part of every floor plan, while available amenities include a surround sound system and two available Wi-Fi solutions. 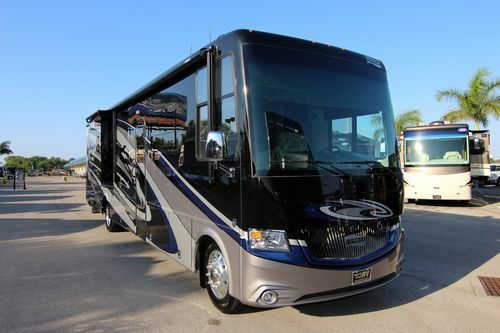 The 2018 Newmar Canyon Star Class A gas motorhome offers two distinct versions of our Masterpiece™ finish, a full-paint finish applied in house by Newmar artisans. 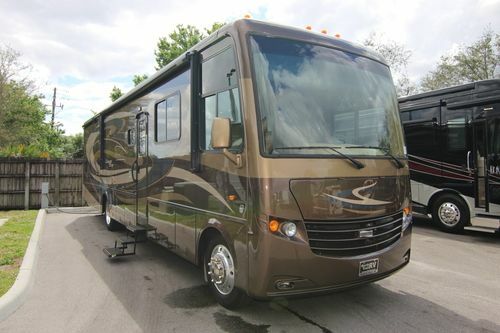 Newmar Canyon Star also lets you select between two stylish interior design options and three wood cabinetry finishes. 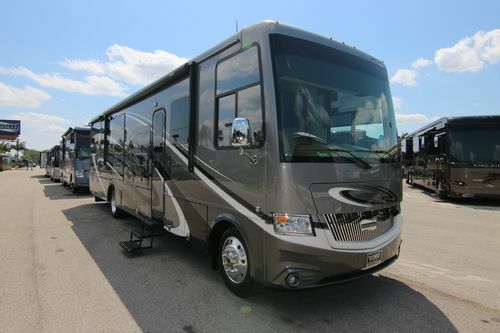 Please view our new & used Newmar Canyon Star Class A gas motorhome inventory below.